We get it. Parents have a lot to worry about when it comes to their child’s health and safety. However, committing to daily oral hygiene will prevent the pain, inconvenience, and expense of dealing with tooth decay in Burlington. Even though most parents know the basics of children’s dental care, Burlington pediatric dentists continue to see cavities in young children. It’s essential to make a commitment to proper dental hygiene for yourself. 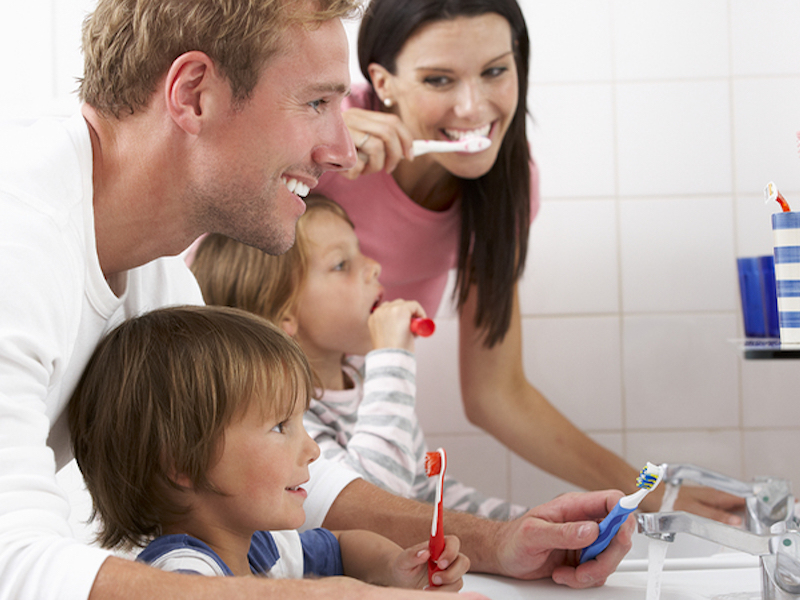 If you have inadequate oral hygiene, now is the time to change your ways so you can set an example for your child. You will both be better off. Caring for your infant’s teeth should begin even before they erupt. To prevent bacteria growth, parents should wipe their baby’s gums with a wet washcloth after feedings. Youngsters should never be put to bed with a bottle. The sugars in milk or juice that stay on teeth for hours can damage the enamel. When your little one gets his first tooth, it is time to brush. Most young children ingest toothpaste, so use only a tiny dab of non-fluoride paste until the child turns two. If a child swallows too much fluoride, it can stain teeth. When a child is old enough to brush his own teeth, instruct them to brush gently but thoroughly for at least two minutes or longer until they get the hang of it. You can set a timer so your child understands how long they should keep at it to prevent tooth decay in Burlington. For young children, it is important that an adult goes over them after the child finishes. Many kids thoroughly clean the chewing surfaces but fail to clean the backsides and gum line. Monitor your child’s meals and snacks. Scheduling snacks and beverages to set times during the day can also guard against cavities. Youngsters should see a pediatric dentist when their first tooth breaks through. Let’s work together to prevent childhood tooth decay in Burlington.